When drawn to the rustic-furnished park models, it is often the wood which firsts catches our eye. A park model can be a simple and cost-effective solution to a log cabin, and what better way to finish your woodland retreat than with the rich tones of wood. 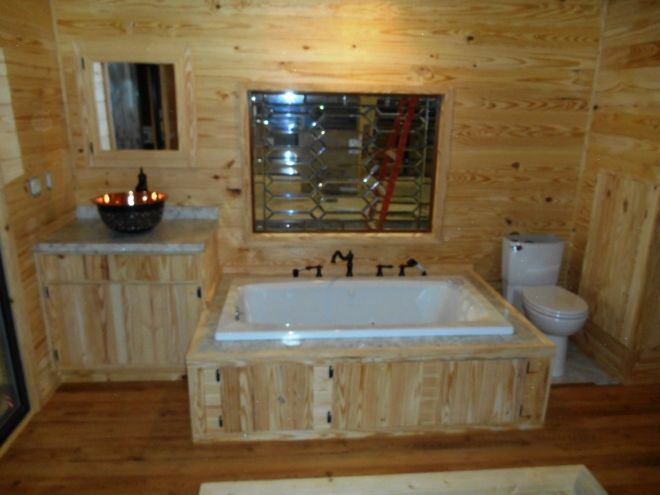 Stone Canyon Cabins of Alabama offer a charming park model with a beautiful wood finish. 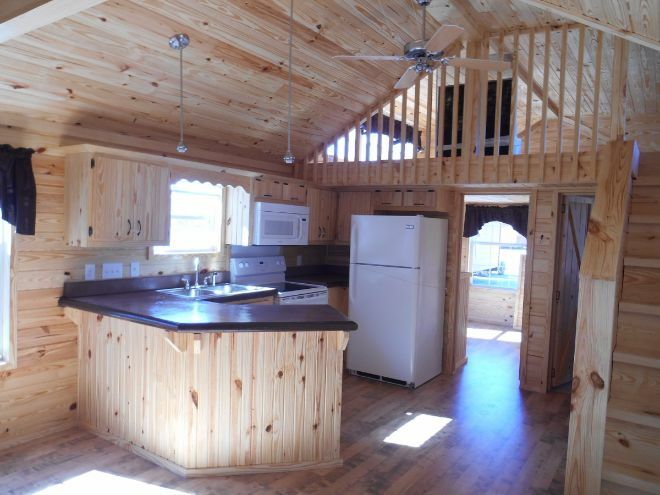 This floor plan includes a lofted ceiling and abundant windows, which combine to bathe the interior in natural light. The light brings out the rich tones of the lighter-colored wood, creating a bright living space and a vibrant floor plan. The dark tones in the wooden exterior make this park model ideal for the woodlands. It will perfectly blend into the natural surroundings. The all-wood finish creates a light and bright interior which is a pleasure of a living room. The cathedral ceiling allows the air to circulate, whilst also creating the illusion of a floor plan larger than the actual square footage. 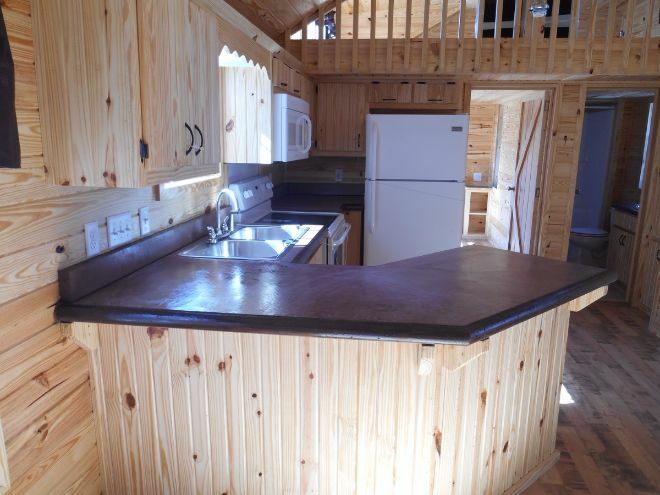 The kitchen is finished with attractive black countertops and a complete range of appliances. 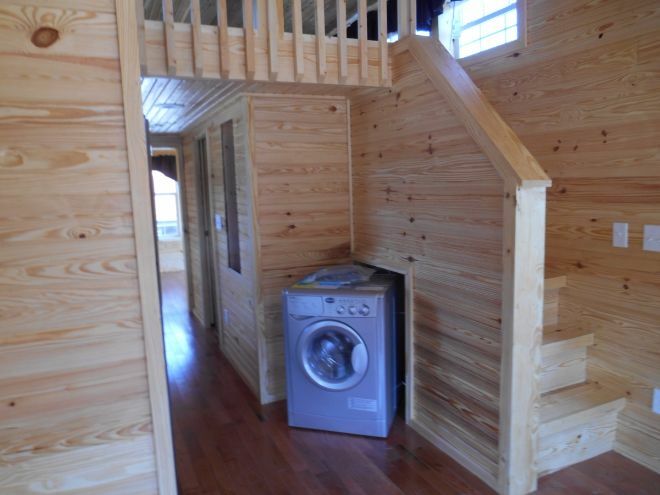 The staircase leads to the spacious loft area, whilst a small cupboard underneath the stairs perfectly conceals a cheeky washing machine. The bedroom offers an abundance of storage space with these built-in drawers and wardrobes. The natural light also brings this room to life. The room where you want a little secluded privacy is completed with a large, sunken bathtub for the ultimate relaxation. We really LIKE this rustic park model. What did you think? Why not SHARE it with your friends? 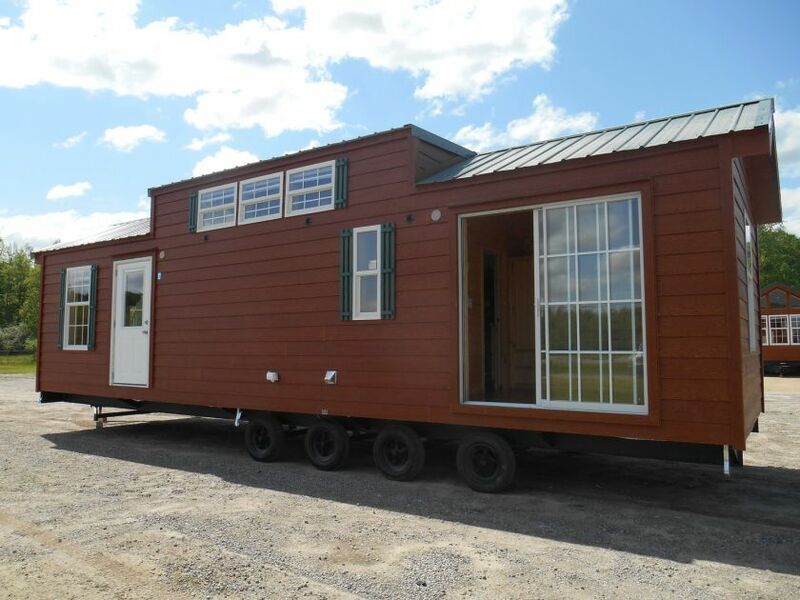 Wayside Lawn Structures has built this beautiful park model retreat that'll see to all your needs. 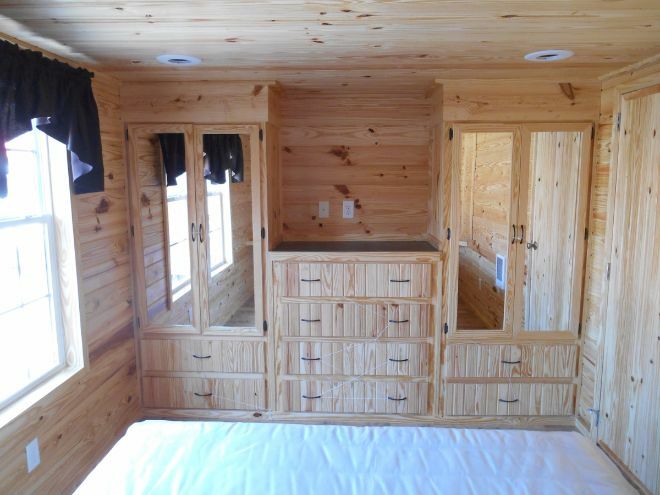 Prestige Park Homes' tiny lodge is the epitome of natural, rustic charm. This vintage Cardinal trailer is surrounded by beautiful Fremont National Forest.